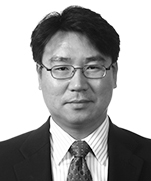 Song K. Jung is the Global Chair of the Intellectual Property and Technology group and member of the Dentons Global Board. Under his leadership, Dentons has built one of the leading intellectual property practices in the industry. Mr. Jung's practice covers all aspects of patent law, including patent prosecution, litigation, validity and infringement opinions, licensing, technology transfer, patent acquisitions, and settlement negotiations. He has counseled clients through numerous intellectual property litigation matters covering a wide range of technologies and industries in national and international jurisdictions, including matters that have resulted in some of the top verdicts in recent years. Also, he regularly represents clients in oral hearings on appeals at the United States Patent and Trademark Office (USPTO). His experience prosecuting and litigating patents, handling negotiations and mediations to settle patent litigation matters, advising clients on technology transfers, joint ventures and other business transactions, and guiding clients through patent licensing opportunities has enabled him to assist clients develop, protect and capitalize on their intellectual property. Additionally, he regularly advises clients on Inter Parte Review/Covered Business Method Review and Ex Parte Reexamination. Eidos Display, LLC v. AU Optronics Corporation: Represents Eidos Display in a very significant, multi-defendant patent infringement case involving a patent directed to manufacturing liquid-crystal displays (LCDs) for consumer products ranging from wireless phones and computer monitors to tablets and televisions. The matter is currently pending before the US Court of Appeals for the Federal Circuit. LG.Philips LCD Co., Ltd. (LPL) v. Chunghwa Picture Tubes, Tatung Co., Tatung Co. of America, and ViewSonic Corp., Case No. 05-292-JJF, D. Del: Represented LPL regarding technology related to manufacturing TFT-LCD products to improve yield and reduce electrostatic discharge. The jury awarded more than $52 million, the entire amount that was requested at trial. The jury also concluded that infringement was willful. In a related case, LPL v. Chunghwa Picture Tubes, Tatung Co., and Tatung Co. of America, Case No. 02- 6775, CDCA, acted as co-counsel for LPL regarding technology related to improving performance and reliability of TFT-LCD products. The jury reached the same infringement conclusions and awarded LPL damages in the amount of $53.5 million. Commissariat Á L ’Energie Atomique (CEA) v. Samsung Electronics Co., Ltd., et al., C.A. No. 03-484 (D. Del. ): Represent CEA regarding CEA’s patented design of vertical alignment LCD technology. Brought suit against the six largest vertical alignment LCD manufacturers in the world, at that time, including Sharp Corporation, Tottori Sanyo Electric Co., Ltd., Fujitsu Display Technology Corporation, AU Optronics Corporation, Chi Mei Optoelectronics Corporation (CMO), and Samsung Electronics Co., Ltd. Negotiated license agreements with all defendants. As part of this case, successfully appealed to the Federal Circuit a decision of the district court on the issue of personal jurisdiction against Taiwanese company CMO. LG.Philips LCD Co., Ltd. (LPL) v. Chi Mei Optoelectronics Corp., AU Optronics Corp. et. al., C.A. No. 06-726 (D. Del. ): Represented LPL regarding a number of patents directed to various aspects of TFT-LCD products, and also represent LPL in the related suits filed by AU Optronics, AU Optronics Corp. v. LPL et al., C.A. No. 07-137 (W.D. Wis.)(transferred and consolidated with C.A. No. 06-726 (D. Del)) and by Chi Mei, Chi Mei Optoelectronics Corp. v. LPL et al., C.A. No. 07-1 76 (E.D. Tex. )(transferred (D. Del)). Faus Group, Inc. v. Mohawk Industries, US District Court for the Northern District of Georgia, 05-2373- WSD. Faus Group, Inc v. Columbia Flooring Inc., US District Court for the Northern District of Georgia, 06-0218-WSD. FausGroup, Inc. v. Unilin Holding Inc., US District Court for the Northern District of Georgia, 06-0218-WSD: Building off a successful defense against a preliminary injunction motion filed by Pergo in its home court in 2005, Mr. Jung continues to represent Industrias Auxiliaries Faus of Spain and Faus Group, Inc. of Georgia (Faus), leaders in laminate flooring innovation. In 2006 and into 2007, he represented Faus in a major patent infringement action against Mohawk Industries, Inc., Columbia Flooring, Inc. and Unilin Flooring, Inc. and its subsidiaries. The suit, which was filed in the Northern District of Georgia, Atlanta Division, charges the defendants with infringing patents relating to Faus's innovative Embossed-in-Register and Joint Guard beveled edge technologies. Also represents Faus in the ITC against Complainant Unilin Flooring, Inc. regarding Unilin's locking technology, and is appealing the ITC's decision in the Court of Appeals for the Federal Circuit. Habasit Belting, Inc. v. Rexnord Industries, Inc. C.A. No. 03-185 JJF (D. Del. ): Represented plaintiff Habasit in its enforcement of its patents pertaining to radial conveyor belting technology. Immediately after issuance of the patents we brought suit against Habasit’s largest competitor so as to prevent Rexnord from establishing a position in the niche industry. Based on the strength of fact and expert discovery the defendant agreed to cease offering their accused product in the United States. After a very successful claim construction decision, the Court granted Habasit’s motion for summary judgment of non-infringement. Shortly before trial the court granted defendant’s motion to stay while the patents are undergoing re-examination. Scientific Games International, Inc. v. Oberthur Gaming Technologies Corp., C.A. No. 1: 02-CV-3224-TWT (N. Ga.): Represented Oberthur Gaming when it was sued for a declaratory judgment of invalidity; and when it brought its counterclaims for infringement of its patents reciting printing technology used to print scratch-off lottery tickets. LG.Philips LCD Co., Ltd. (LPL) v. Tatung Co., Tatung Co. of America, and ViewSonic Corp.. Case No. 04-343-JJF, (D. Del. ): Represented LPL regarding mechanical technology related to assembly of flat panel display devices and products. This case settled favorably for LPL. Mr. Jung has continually been recognized in the Intellectual Asset Management (IAM) Magazine's IAM Patent 1000 listing from its inception as one of the world's leading patent practitioners in the area of patent prosecution. In 2013 and 2014, Mr. Jung was recognized in all three categories – licensing, litigation and prosecution. Most notably, he was the first of 2,000 attorneys to be listed in all categories. IAM describes Mr. Jung as "one of the world's foremost experts when it comes to flat panel devices…he is particularly recommended for his licensing and prosecution know-how." Mr. Jung has also been recognized as an "Intellectual Property Super Lawyer" by Washington, DC Super Lawyers from 2012-2018. Every year Mr. Jung is invited to speak at numerous seminars, both national and global, on the topic of the application of intellectual property strategies in business. "Major Legal Issues That Occur In the Discovery and e-Discovery System," Discovery and E-Discovery Excellence in Cross Border Litigation, April 24, 2013. "Intellectual Property As a Tool for Doing Business in the U.S.A.," Korea International Trade Association Meeting, December 4, 2012. "Obtaining and Contributing IP through Joint Venture," AIPLA Mid-Winter Meeting, January 28, 2010. "Quanta vs LG Electronics," Current State of the Patent Exhaustion Doctrine; an installment of the "Supreme Court Radio Series" presented by MyTechnologyLawyer.com, July 25, 2008. "Patent Law Developments Affecting the Display Industry," Society for Information Display, May 2008. 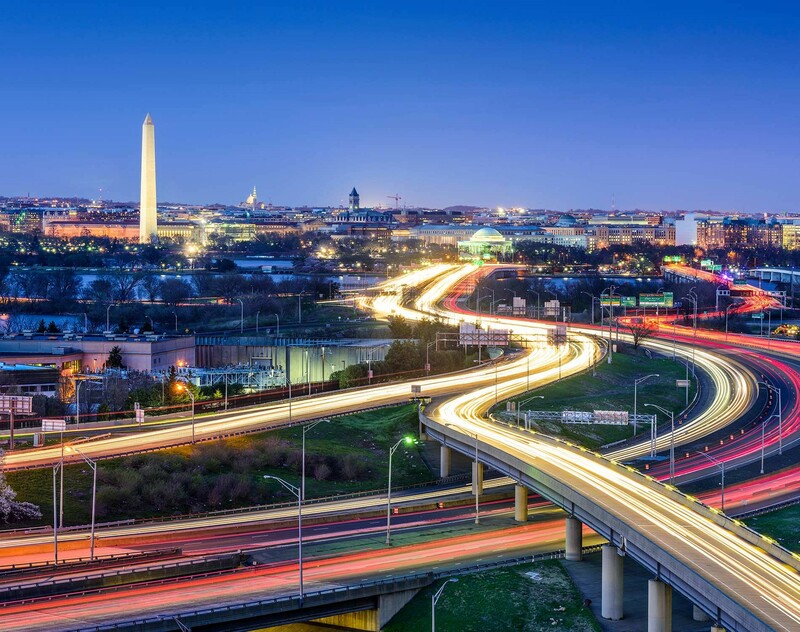 Conducts technology seminars for the United States Patent & Trademark Office (USPTO) in Washington, DC, where he has presented annual tutorials for the patent examiners of the USPTO. Before practicing law, Mr. Jung was an electrical engineer at NASA, where he tested electronic components including analog and digital devices, memories and microprocessors for space flight projects.